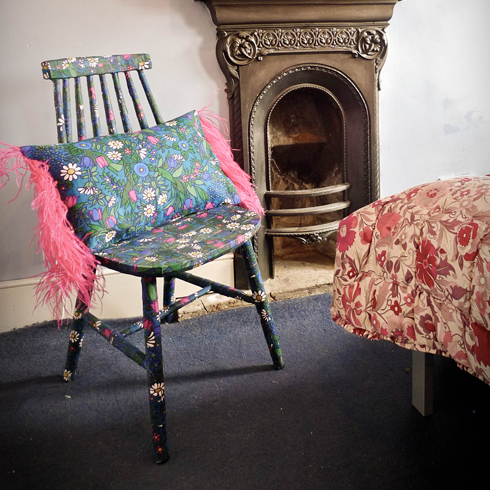 These great upcycled pieces are by British designer Mel Made This. 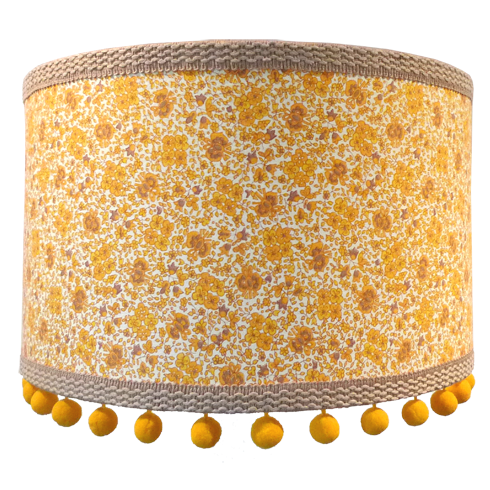 Mel reinvents unloved lamps and furniture, transforming them into chic bohemian objects d’arts. 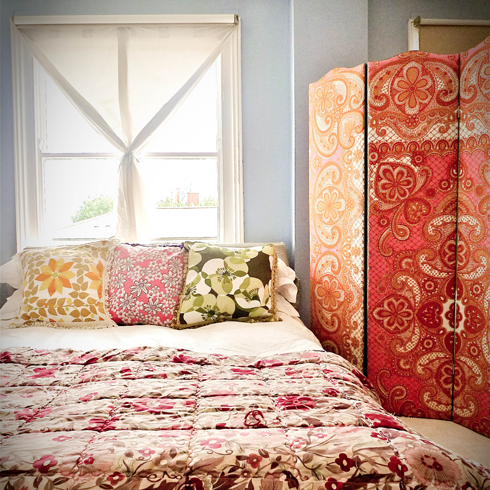 Trained in textile design, her pieces are adorned with vintage fabrics in paisley, floral and geometric prints from the 50’s, 60’s and 70’s using traditional upholstery techniques. 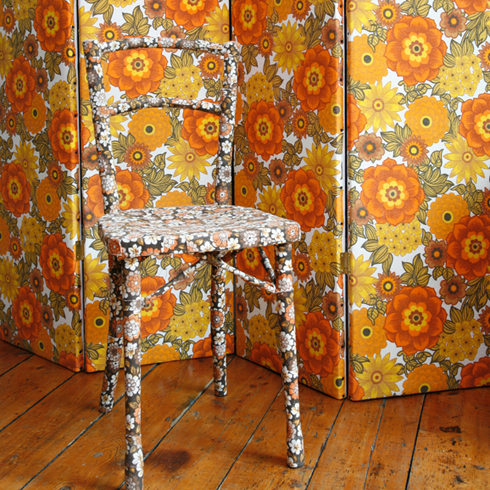 This Hattie Chair (pictured above) is a 1970’s wooden chair base covered in original 1970’s brown and orange floral heavy weight fabric.